Hello from District 2 – July 2015 | F.F.A.M. Hello from District 2. Not a lot is going on right now in our district, unless it has something to do with water. I know that most of you are dealing with high water so be careful. The Region B fire chiefs met in May at the Shelbina fire station, and had a big turnout. Feldfire and Air Evac put on programs and a lot of items were talked about. Several fire departments will be doing events for the Fourth of July, so be safe. 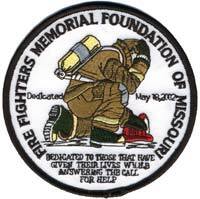 I hope everyone that was able got to attend the Firefighters Memorial Service in Kingdom City in May. The committee and others put a lot of work and planning into making it happen and it showed. The weather played along, and a big crowd was on hand as we honored our fallen and honored those that served their communities. The 100 flags that were posted on the grounds around the memorial were impressive. Make sure right now you mark your calendar for the 3rd weekend in May, 2016. I was glad to see a lot of you at the 2015 FFAM conference. Thanks for stopping by the FFAM booth. It’s not too early to start getting your teams ready for the 2016 conference. 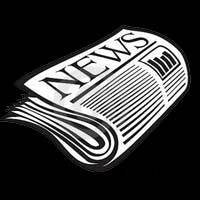 More to come on the 2016 conference in future issues. The foundation is selling chances for a Firefighter’s Edition Henry rife and display case as I am sure it will be in this issue. 100% of the money from tickets sells goes to the education center/ museum. The tickets are only $1.00 each or 6 for $5.00. Make sure you contact me if you want tickets and to have a chance to win this rifle, or you can contact the director in your district. 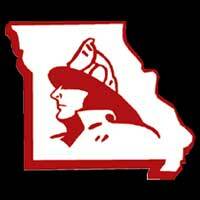 The State Fair is coming up and I am sure we will have tickets there also, so stop by the fire station at the fair. The drawing will be held at the 2016 conference so you have time to get yours. You can also donate to the project by going to the FFAM website. Make sure if you have not checked out the website in a while make sure you do so. There are so many benefits that the FFAM has to offer so make sure you check them out. The National EMS Weekend of Tribute was held June 26-28 in Colorado. The air memorial held their candlelight service on Thursday night and their memorial service Friday morning at 7:00 a.m. (yes 7:00 a.m.) A big crowd was on hand in Littleton, Colorado. The National EMS Memorial service was held Saturday evening at the Pikes Peak center in Colorado Springs, Colorado. They honored 15 individuals that gave the ultimate sacrifice, several had fire service backgrounds as well. I was given the honor of being one of the presenters this year. For those that are friends with me on Facebook, I sent out the site that you could watch it and I hope you were able to. I wish to take just a second to thank Brian Zinanni, Harriett Baucher and Don, and Larry Jones from the Fire Funeral Assistance Team. Being able to honor those individuals that have given their lives on the fire and EMS side is something very special to me and with their training and their support I am able to be just a small part of that. 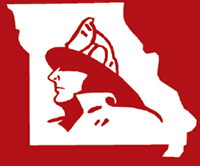 If you are interested in being a part of the Missouri Fire Funeral Assistance team go to their web site www.mofirefuneral.org. Remember if you have something going on in District 2 let me know. 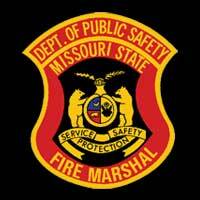 And to all our brothers and sisters be safe, and we will see you at the 2015 Missouri State Fair.